WordPress has become the biggest and powerful platform for Content Management System (CMS) having blogging capabilities. For any kind of Website, You can build a blog, a website for all kind of online business, or represent your business page on web by using WordPress. There are lots of reasons to use WordPress for multi-user website and you can get full control over the content of your users and can management them on a single platform from your Dashboard. First of all WordPress is a FREE AND provides excellent Search Engine Optimization (SEO), WordPress SEO by Yoast is one the best WordPress SEO plugin that help to get traffic and boost up search engine rank. WordPress is very user friendly, and help you to mange content without knowing programming language and using developers tools like Dreamweaver. On top of that you can extend your website features without hiring a web developer by implementing different themes and Plugins. If you want to extend your website, you can get WordPress Developers support on line because there are lots of blogs provide Free tutorials and support online, all you have to Search on Google. Even Hosting companies like provide free help and support on WordPress powered sites. Today I am trying to compile a list of Plugins that help you to manage and have a powerful access control system by using WordPress, Although Drupal and Joomla provide you these features but now you can implement these features on your WordPress powered website. On the following list of articles you can find how to create Multisite and manage your Network on WordPress. Advanced Access Manager is very powerful and flexible Access Control tool for your WordPress website . It supports Single WordPress installation and Multisite setup. Are you a WordPress developer or a Web Designer who uses WordPress to develop websites for your clients? Have you ever wished that it was easier to customize the menu’s and logo’s in WordPress and to decide which menu’s the users have access to? 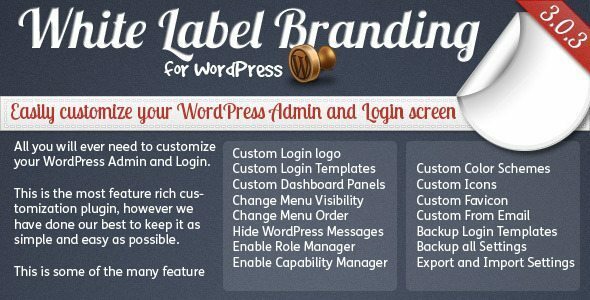 With White Label Branding for WordPress you can do exactly this. Take full control over the branding in wp-admin and decide who has access to what features. With the latest version of White Label Branding you have the ultimate tool for customizing WordPress admin and your login screen. Adds user access control via admin defined user groups on a per page level. Redirect public users to login page. WordPress Access Control is a plugin designed to integrate into membership sites where certain pages, posts and custom post types should only be available to members of the site. The plugin offers fine tuned features for this purpose, including the ability to set site wide defaults and override these on a per-page basis. The configuration is as simple as powerful and the best of all: It’s incredible fast – you will not notice any differences from your standard installation to running a fully protected blog. It does not modify your roles, capabilities and it does not need new tables or adds queries to your normal pages. 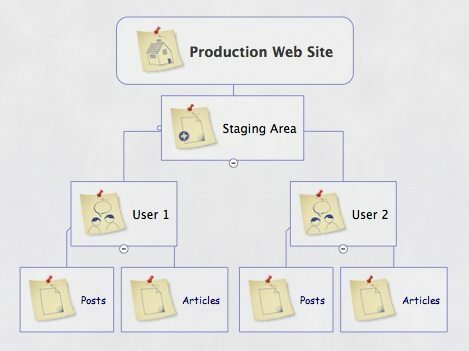 This plugin allows authors to restrict the users’s access to individual pages, posts and menu items based on the user’s logged in status. You can restrict pages and posts while editing by using the “Simple Access Control” widget. With the “User Access Manager”-plugin you can manage the access to your posts, pages and files. You only create a user group, put registered users to this and set up the rights for this group. From now on the post/page is only accessible and writable for the specified group. This plugin is useful if you need a member area or a private section at your blog or you want that other people can write at your blog but not everywhere. Microthemer is a visual design plugin that gives non-technical WordPress users a way to customize the appearance of their WordPress theme. Microthemer is intended for WordPress users who demand near full design control but don’t necessarily have any knowledge of CSS . 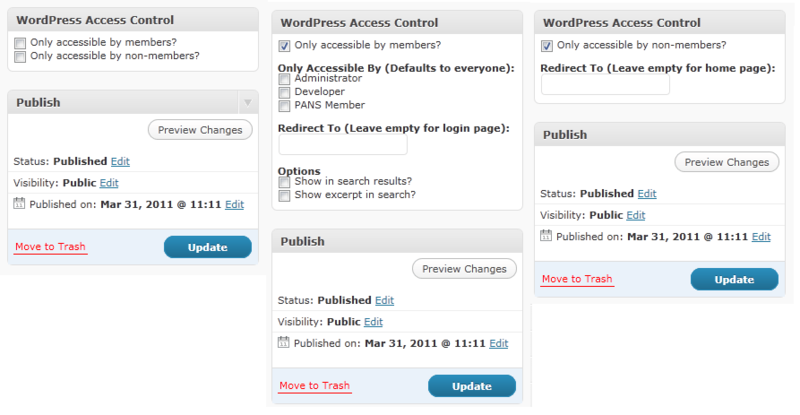 WordPress: Roles and Capabilities: WordPress explanation on how blog owner can control the ability of assigning roles to a user. 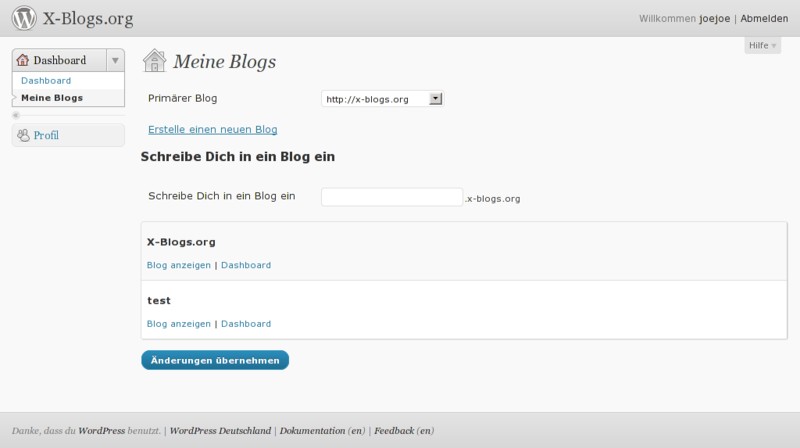 WordPress: Author Templates: This article explains how to change what happens when the blog viewer is visiting one of your site’s author pages. Creating an “About this Author” for Multiple Authors: How to insert About this Author at the end of every blog post.